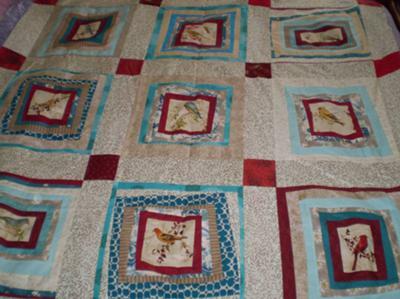 A quilt I designed around a piece of fabric that had different birds on it. Thank you for sharing your quilt with us! It looks great! Join in and write your own page! It's easy to do. How? 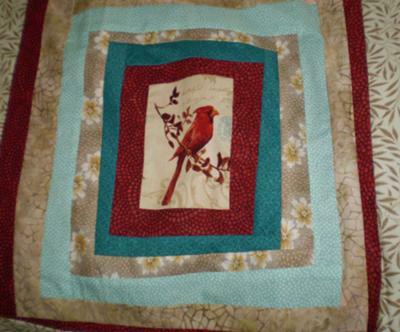 Simply click here to return to Quilting Gallery.